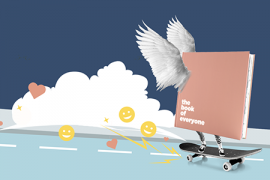 We’re a small but mighty team at The Book Of Everyone. What we lack in numbers, we more than make up for in energy and enthusiasm (and tea). The latest thing we’ve been putting together in our workshop is now out there in the world and we’re super proud of it. 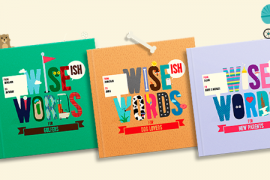 So – drum roll, please – allow me to introduce to you the all new, improved Wise(ish) Words books for kids! 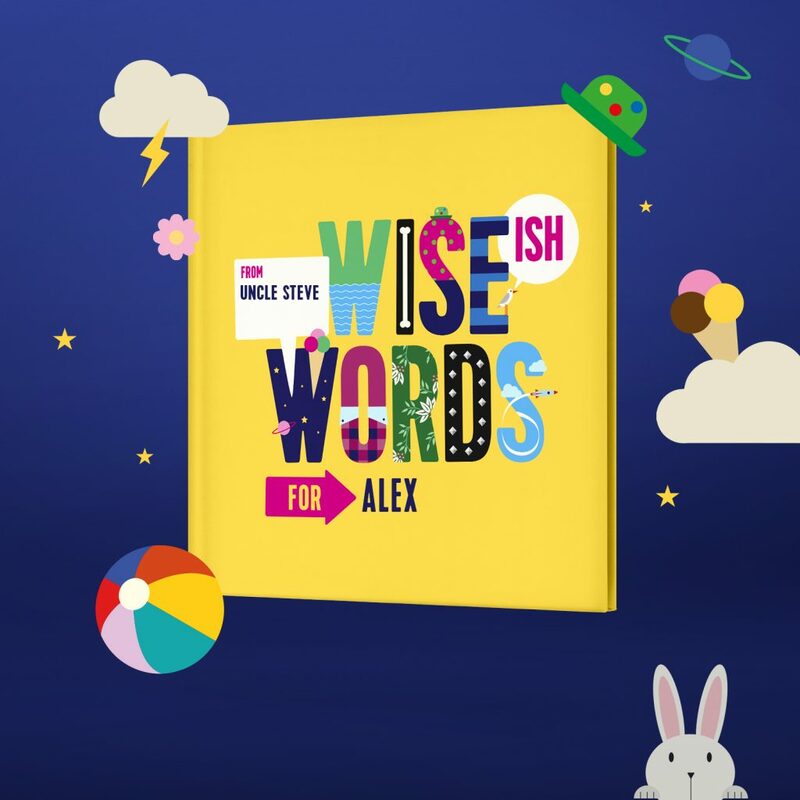 Our Wise(ish) Words book gives you the chance to present the kids in your life with a book filled with your very best advice, all presented in artwork that’s as bright and bold as the superstar kid in question. It’s a great way to give a younger kid something personal and meaningful that they’ll keep on their shelf for years to come. People told us that they loved the concept, and that they also wanted to make them for kids who were a little older. They figured they would enjoy reading the advice, but might think of themselves as a little too grown-up for the blocky design in the original book. Never ones to resist a good challenge, we assembled a crack team to create two brand new themes that are now available alongside the original. New books! New themes! 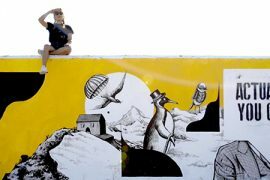 New artwork! Our design geniuses have created an array of astoundingly brilliant designs. 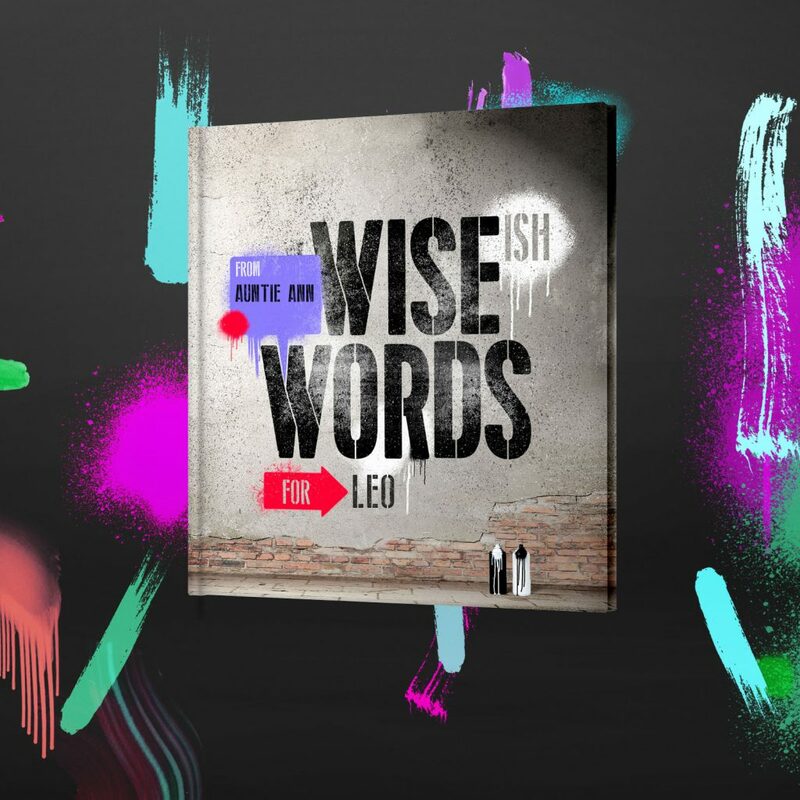 The two new themes will perfectly showcase your sage sentences as graffiti on urban walls or through quirky retro collage. All the artwork spans double page backdrops. 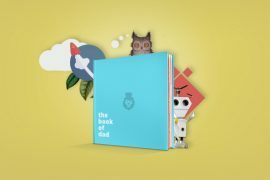 Anyone can now make a book for kids of all ages. From your manic five year old niece to your all-action skateboarding sibling, all the way through to your culture vulture cousin. 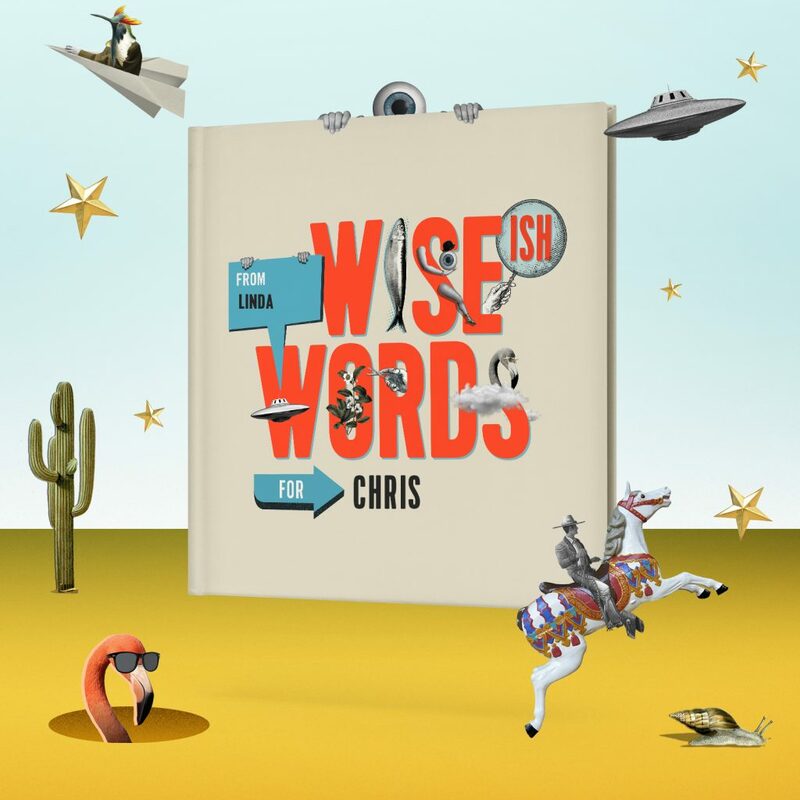 There’s a Wise(ish) Words book for everyone.